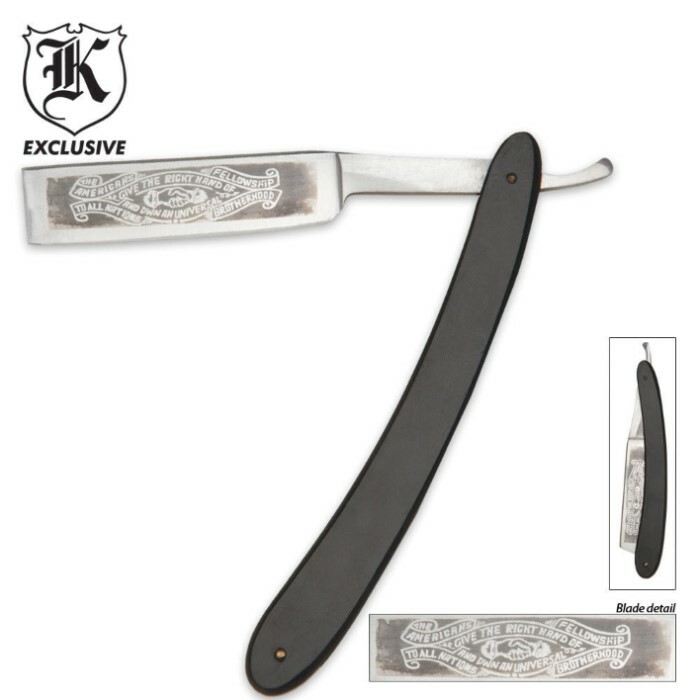 American Fellowship Straight Razor | BUDK.com - Knives & Swords At The Lowest Prices! This unique American Fellowship folding straight razor offers a stainless steel 4 1/2" blade with a mirror finish and a crest with the American Fellowship slogan right on the blade. The black ABS handle is contoured to fit perfectly into your palm. Comes packaged in vinyl sleeve. 10" ov.